After an explosive mid-season finale, the fictional law firm of Pearson Spectre Litt returns on January 28, Thursday (Wednesday in the US). We soon find out what happens to Mike Ross (Patrick J. Adams) as last episode showed agents arresting him for conspiracy to commit fraud. Is the secret finally out? And who let the cat out of the bag, was it Claire, Mike’s ex-flame (played by real-life girlfriend, Troian Bellisario of Pretty Little Liars) or Trevor, Mike’s former best friend or did Louis Litt committed the ultimate revenge, not so much on Mike but on Harvey? How will Harvey Spectre, played by Gabriel Macht, and the always gloriously sharp Jessica Pearson (Gina Torres), whose wardrobe on the show is one interesting character in itself, get out of this mess unscathed? Will Mike’s photographic memory help him survive this deep speed bump or will he finally come clean? 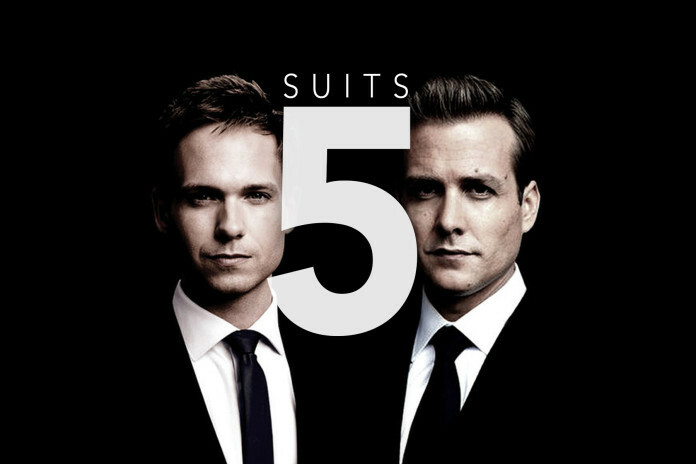 And if these highly anticipated plots do not interest you, I am sure that being deprived from not seeing the awesome Donna for many months is more than enough reason to catch the first of the last six episodes of Suits, Season 5.
Who could not love Donna, everybody’s girl, watch this!